Fire crews worked late into the night on the tenth blaze attributed to the mysterious ‘Firebug.’ The death toll would have been higher if not for mandatory Glide Chutes. Charles “Chuck” Q McCracken, owner of the burnt-out buildings was charged with arson and 718 counts of Homicide. Those were the first words of Judge Dredd after being sworn back in following his six-month secondment to Luna-1. Shortly after he busted three South Side Boys for breaking up a bar because the owner would not pay protection and collared the infamous Suction Gang following another jewellery heist. Here is a great twist with Dredd acting completely contrary to your expectations completely hooking you in till the reveal at the end. 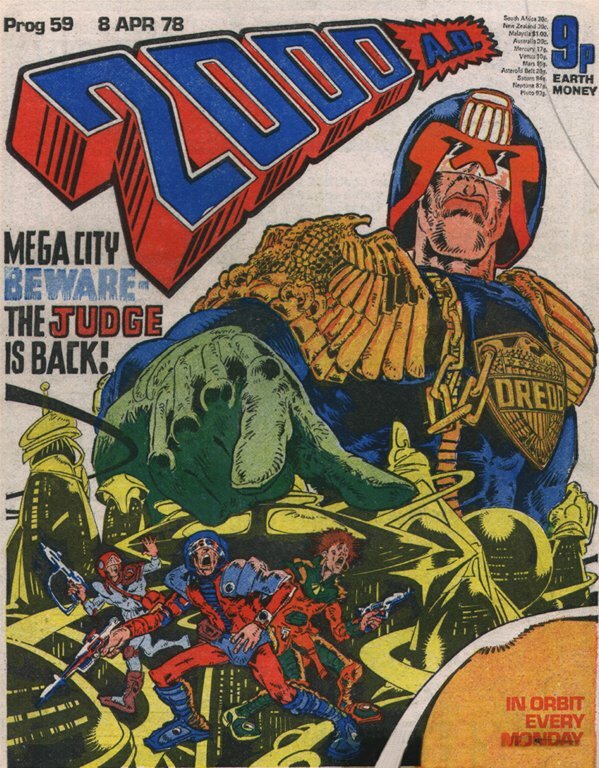 Last night’s full Earth saw record arrests as Judge-Marshal Dredd ordered all Judges out on the streets. Increased incidents of graffiti, looting, and public brawling kept the Judges busy throughout the night. Even Robodogs were feeling the effects. In an almost perfect crime four unnamed criminals pumped Tranq gas into the Luna-1 oxygen supply causing virtually all Luna-1 citizens to fall asleep instantly. While traffic crashed to a halt, fires burned unchecked and people toppled to their deaths the criminals robbed people and businesses alike. They would have got away without trace but for a small twist of fate. All four were found suffocated with their loot after they neglected to pay their oxygen bill. 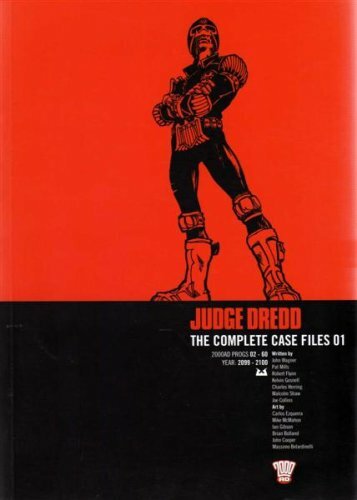 This is a classic example of Dredd. A major threat to the city (albeit Luna-1), a solid sci-fi edge and the criminals undone by their own action. And Bolland art to provide the cherry on the cake.